Margo Garden Products already had a neat website but it lacked mobile accessibility as well as an easy to use backend. To alleviate these issues we created a custom website with an easy to use backend that allows for quick product edits/additions. But we didn't stop there for this national client, we used Orange call-to-actions to draw the eye and then we SEO optimized every page (yes every!). 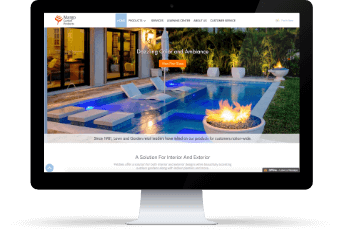 The end result is a beautiful website that has Google rankings beating Home Depot, as well as increased traffic every month.